Project-based learning (PBL), a model where students solve problems by taking on real-world projects, is growing in popularity throughout the United States. 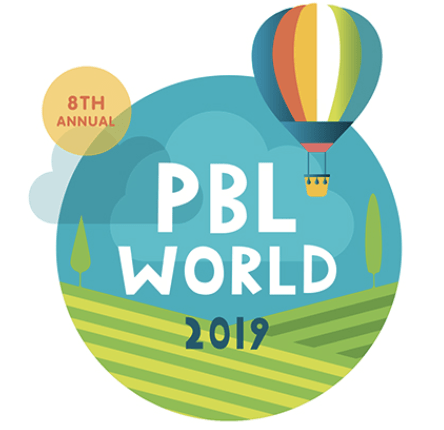 Perhaps more than other approaches to education, the success of PBL is heavily reliant on the resources and environment you provide for students. Schools like Tech Academy in Chicago partner with over a hundred different companies for field trips and mentorships. They bring students to companies like Microsoft to work with employees on real problems, and Tech Academy’s professional partners recruit and hire many of the school’s graduates. Want to amplify these benefits? Host a partner on your campus. Build a professional incubator and connect students to industry professionals and meaningful challenges around the clock. Whether the professionals are building an app to curb world hunger or simply figuring out how to grow their business, they have a ‘real’ challenge to share with your students. A communal working area and small office is all you need. Your partner can work out of the office and teach and engage students in the communal area. For the first year, you could choose a budding startup or a purpose-driven organization. As long as the work has real world implications, students will feel invested and engaged. Not too long ago, I was shadowing New York City students while designing the EPIC High Schools. Every day culminated in exhaustion. High school was tough. The entire day we rushed from class to class, never having a moment alone as we were constantly engulfed in boisterous crowds. From that experience, I realized that it’s critical to have school spaces that help slow down the pace. The den is one of many good examples. It’s a place where students can step aside for a mental and physical break. Just allocate an area off the beaten path and set up a comfortable, relaxed atmosphere to offer some much-needed respite. If building a den feels counterintuitive for learning or like a wasted space, make no mistake—students will cherish it. The den is a sign that you care, and that you want students to be able to recharge and feel ready to take on the day. Walk into Google’s offices anywhere in the world and you’ll find an office plan like nothing you’ve seen before. From scooter lanes to the various-sized multi-purpose rooms, Google’s offices are built for maximum adaptability and ease-of-use. One thing you’ll encounter are plentiful small booths and rooms where people can walk in and, with the touch of a single button, join a video conference. There are no wires or plugs, no log-ins or hassles. The idea is that technology should make our daily lives easier, and it will as long as there is no obstacle to introducing it into the routine. This kind of resource is invaluable for schools that are trying to incorporate more technology into their curriculum. The one-touch recording booth is a small, sealed booth or room where students and teachers can record audio or visual without the burden of confusing or cumbersome equipment. You can simply walk in, press a button and the recording begins. With the camera and playback monitor, it’s easy to create videos, record musical compositions and even rehearse for presentations. One more press of the button and you can watch your recording instantly. Stroll the halls of the Harvard’s Graduate School of Design, Parsons, or any design school and you’ll be struck by how rough and, frankly, messy the spaces are. The mess isn’t a sign of neglect. It’s a product of constant use by builders and designers. In fact, the chaos and clutter actually encourages tinkering. A rough space is a place where designers feel comfortable experimenting–a space where it’s okay to make mistakes. A school should have a space that’s made to get dirty. Often creative arts and hands-on building projects are siloed to art rooms. But what about projects that are physical and interdisciplinary, like building a model of your neighborhood? It’s good to have a shared space in your school that houses materials for reuse like spray paint booths, tools and installation spaces, all surrounded by durable floors and walls. The build barn is perfect for prototyping physical products and projects so that students can take their ideas to the next level without having to worry about ruining their classroom. Even industry leading schools are pausing to reflect on the environments they’re putting students in. Recently, while working with the Khan Lab School, we discovered that students craved more tabletop space. According to the kids, with all the tools needed for school work these days—Chromebooks, notebooks, dry erase boards, textbooks and more—it’s hard to manage with just a small desk in front of you. And no, getting expensive Node chairs doesn’t cut it. A design studio gives students a chance to spread out and use all of their tools for learning. Problem solving takes mental and physical space. Large tables and corkboard walls are perfect for sketching and presenting ideas. With an open floor plan, the design studio surrounds students with creative energy where they can find inspiration by seeing the work of nearby peers. There should also be computer stations outfitted with design software so that students can familiarize themselves with digital design tools as well as analog ones. At Columbine Elementary in Denver, Colorado, students congregate at Skype Mountain, a constructed terrain where they can gather to watch videos. When Skype Mountain isn’t being used to video conference experts or stream TED talks, it doubles as an amphitheater for student presentations. Upon this “mountain,” students as young as first grade are able to hold court and address fellow students and teachers with pride and confidence. A dedicated stage space elevates any presentation to a level of seriousness and polish that is hard to replicate in the classroom. It inspires hard work and gives students practice speaking in front of an audience. When students know they will be presenting in front of parents, judges or industry professionals, the work feels more meaningful and they’re more engaged. It also provides an opportunity for local community members to get involved in school projects and events. A stage evokes visions of theater and plays, but it can be used flexibly to showcase projects that span the disciplines. What each of these six spaces does is encourage students to think and work outside of the traditional classroom model. Build barns and professional incubators aren’t gimmicks–these spaces facilitate a kind of learning that goes beyond the realm of a traditional classroom. Imagine your school with all six of these spaces. Not only would students have the resources they need for PBL, but they would be inspired to tackle bigger projects and learn actively by doing and making. These spaces can be created in almost any type of building. Whether you’re planning a new building or updating the one you’re in, these are possible for you. There’s no reason to wait for the school of the future—you can have it right now, today. Feature image courtesy of Lindsey Own.